The folks over at THE RUNIVERSE reviewed "Chasing the Dragon: Running to Get High" and had some wonderful things to say. Check it out. Poke around the blog. It's a user-friendly blog with a terrific mix that I would love to call mine if I only knew what the hell I was doing. 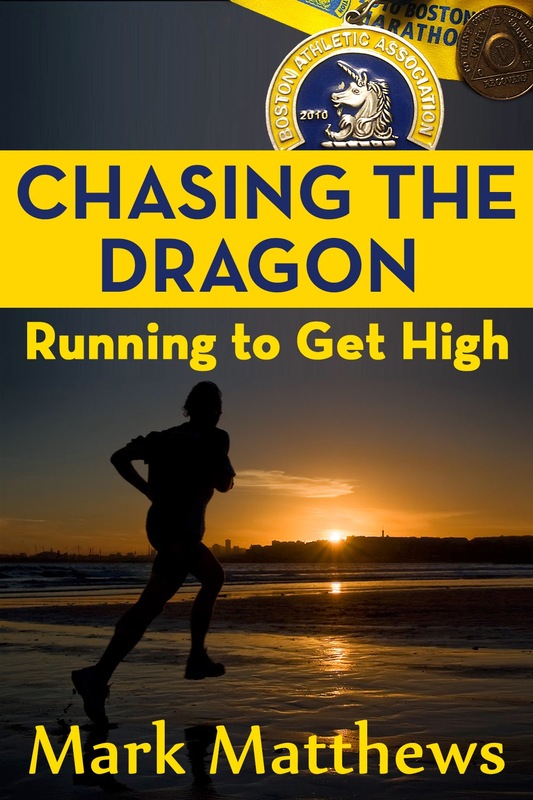 Chasing the Dragon: Running to Get High is essentially a collection of short stories, lists, and advice centered around marathon racing and running in general. However, this isn’t just your run of the mill advice book. Yes, you will get tips on how to run your best marathon, you will get suggestions on how to prepare for that race, and you will learn new ways to run faster. What else do you get? Nothing short of the author’s heart and soul. You see, the author of Chasing the Dragon, Mark Matthews (find him on Twitter here), is a recovering “late-stage alcoholic with internal bleeding in his organs and misery in his soul”. As he puts it, the book is 70% on running and 30% on how running relates to addiction and addiction recovery. The advice Matthews gives is great, but the sections about his addiction, his past with alcoholism, and how running played a part in his recovery are downright stunning. There is a chapter toward the beginning of the book where Matthews explains his past with alcoholism. It is an amazing, harrowing look at a past that could have easily led to his death. Like I mentioned, this isn’t just about Mathews’ past. It isn’t A Million Little Pieces With Running. First and foremost, this is a book with some fantastic advice on how to be a better runner. Best part: there isn’t an air of superiority in his writing. He isn’t an elite and he doesn’t pretend to be. This is a compliment. He is one of us and he writes like that. Over the course of his dozen marathons, he has discovered things that work for him, and he’s sharing those tips in the hope that they work for us, too. In fact, I discovered that some of his advice–especially the advice found in his top secret marathon training section–is exactly the same advice given in a book I recently read and reviewed called Run. I mention this not as an indictment of Matthews. I don’t think he read that book and passed off the advice as his own. More likely, he came to the same conclusions and presents them in a way that is a little easier to understand and digest. There is another great section on dealing with less-than-ideal conditions during a race. You’ve trained for your race, you’re ready for your race, and then on race day, everything changes. The change could be anything; in the book, Matthews specifically talks about miserable weather. The advice he gives seems so basic, but the message he delivers on persevering through the change, and being mentally prepared to update your game plan, is brilliant. Sometimes the best, most useful advice is the simplest. Matthews gets that and delivers. The book is about 150 pages long. It’s an easy read, and won’t take you too long to get through. This is one of those books where you will find yourself highlighting certain sections, or folding down the corners on those pages that offer wonderful advice that you know you will want to read again. I highly recommend you pick up Chasing the Dragon. You will find something in there that will help your running, and your racing. Want to know more?